A new addition to the Sound of Salzburg Show: The Apple Strudel Special. Combine the cultural experience of the show with a culinary adventure! In a few steps you’ll master apple strudel baking. 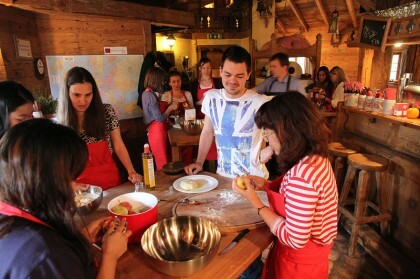 The Apple Strudel Special includes entrance to the show at the Sternbräu (evening) as well as an unique opportunity: a 1,5 hour cooking school at noon with professional and experienced chef Johann Bauer – set in a very special location. You will learn how to mix every single ingredient to make your very own and original Austrian Apple Strudel. Get to know one of the countrys culinary treasures inside out – literally! The ingredients will be provided by the chef. All you need to do is follow his lead into creating one of the most delicious desserts you’ll ever taste. From the crisp dough to a special kind of apple and the secret cinnamon seasoning: in a few steps you will be calling yourself an Apple Strudel master baker. 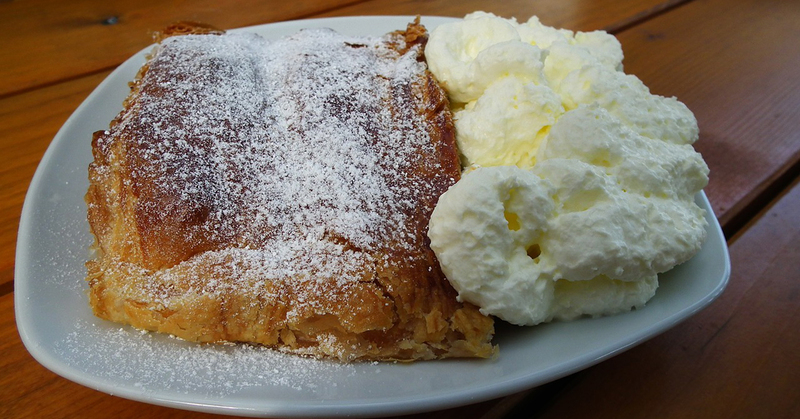 The Apple Strudel Special starts at 12:00 noon at the Kaverne am Klausentor, just a 5 minute walk from the Sternbräu Restaurant. 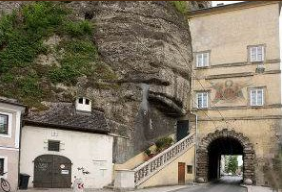 The ancient cavern provides an atmospheric location and will take you back to a time, when hand made Apple Strudels were the only ones available. Once you finished the preparation, you’ll lean back and let the stove do the rest. While the sweet smell starts to feel the cavern, you will be served with a snack (included), before the fruit of your labor will be ready to taste. Important: The Apple Strudel Special includes the Show Only Ticket to the Sound of Salzburg Show at the Sternbräu Restaurant! The Kaverne am Klausentor (white “house”).